During the month of May in the year 1876, 15,000 Lakota Sioux and their friends gathered in the Yellowstone River Valley (Montana)for their annual celebration of the Sun Dance. The tribes met in hope that someday they could return to their traditional way of life. As they met around the campfire there was one thing they all agreed on, they would do whatever it took to protect their sacred homeland, the Black Hills. At the same time, General Sherman was worried about the large numbers of Indians who were leaving the reservation. He knew that something would have to be done to control the tide of descent that was building among the tribe. Simultaneously, he dispatched troops from three different forts, General George Crook and 1,000 men from Fort Fettermean, Brigadier General Alfred Terry and 1,200 men from Fort Lincoln, and Colonel John Gibbon and 400 men from Fort Ellis in Montana. The government plan was that all three would meet along the Yellowstone River where scouting reports told them that the great Sioux chiefs, Sitting Bull, Crazy Horse, and Gall were meeting. All three were well known by the military. Gall had distinguished himself in Red Cloud's War, earning the respect of everyone. Crazy Horse had fought in every Lakota Sioux battle between 1866 and 1876, and Sitting Bull was their most beloved spiritual leader. General Crook and his men were the first to see battle at Rosebud Creek. On June 17, he and his men attacked a Lakota Sioux force that was at least twice their size. The week before Sitting Bull saw a vision of white soldiers falling head first into their Sioux camp. They had been waiting for the soldiers to show. The fighting, which was largely hand-to-hand combat, lasted most of the day. At the conclusion, the wounded were everywhere, but the death toll was only 10 on each side. They had fought to a draw. 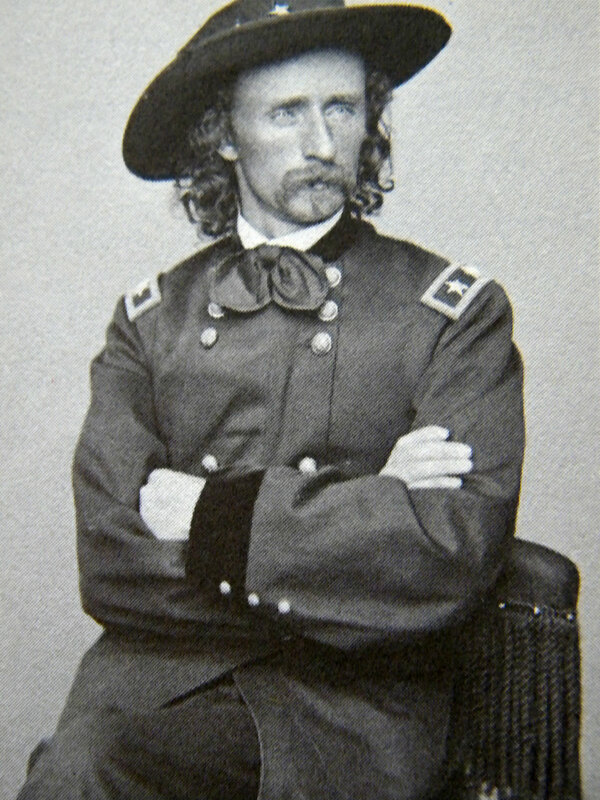 Custer had orders to proceed as fast as possible to the Little Bighorn River where scouts now reported the existence of a large concentration of Indians. Once there he was ordered to wait until General Terry and Colonel Gibbon arrived. However, Custer, who was traveling with a reporter, and anxious to make a name for himself, decided to race as quickly as possible to Little Bighorn River. Between June 22 and June 24, Custer drove his men to exhaustion, they covered a grueling 102 miles on horseback. Then, with little sleep and no idea of his circumstances, he proceeded to make the one fatal error that he would never recover from. He divided his troops into a supply column and three fighting columns. The young colonel now had three weak fighting forces, and and he had no idea that he was totally outnumbered. The columns were led by Custer, Major Reno, and Frederick Benteen. Around 2:30 PM, Reno and his 100 men crossed the Little Big Horn River and opened fire. Benteen and his men reached Reno at 4PM, by then half of Reno's men were dead. Then all of a sudden, Custer realized how outnumbered they were. In a daze, he looked out at the enormous Indian village before him, and couldn't believe it. It was the largest mass concentration of Indians ever to confront the U.S. Army. By the time the battle was over 5 out of 7 of the Seventh Cavalry's companies were annihilated. Custer died fighting, and he took 268 men with him, and there were 55 wounded in what would soon be known as Custer's Massacre or the Battle of Little Big Horn.